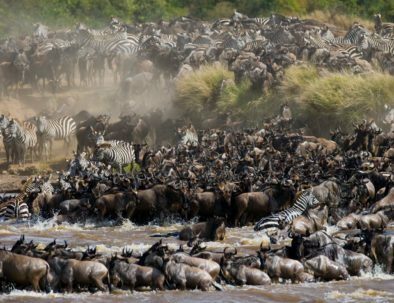 Witness the great migration and spot the Big 5 in the epic national parks of the Serengeti and Maasai Mara or venture in off-the-beaten-path parks and game reserves. 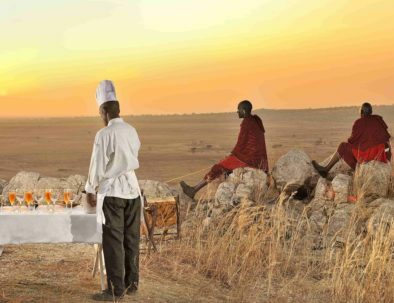 Travel with comfort wherever your dreams take you with our African safari vacation packages. 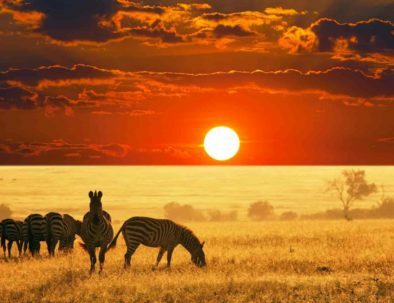 From the heavenly beaches of Zanzibar, to the breathtaking plans of Tanzania and Kenya to the mighty Victoria Falls, legendary Okavango Delta and the wine & safari tours in South Africa. Our countless safari packages options mean there is something for everyone, and we cannot wait to make your dream a reality. The Bush & Beach safari package is an extremely rewarding and relaxing experience. 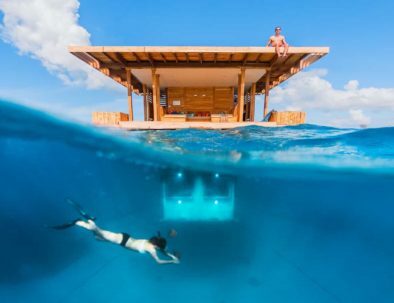 Combine an outstanding wildlife safari with luxurious lodges and heavenly beaches of Zanzibar. 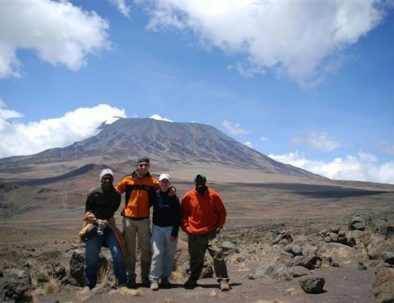 "The Road Less Traveled" safari is an epic journey across Tanzania. Take a true adventure through the legendary scenes and uncrowded parks in classic safari style! 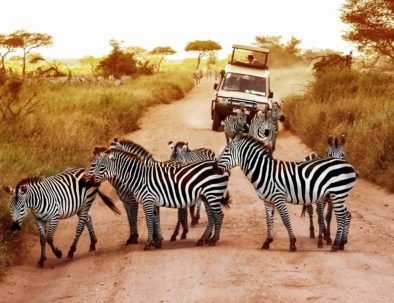 This once-in-a-lifetime safari package highlights the best of Kenya, Tanzania and Botswana. 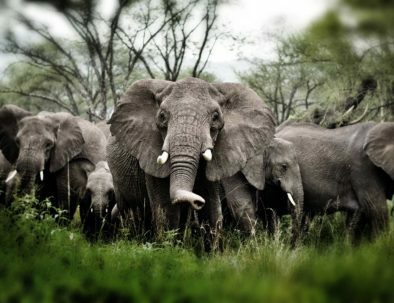 Spot the Big Five in the world's best national parks! 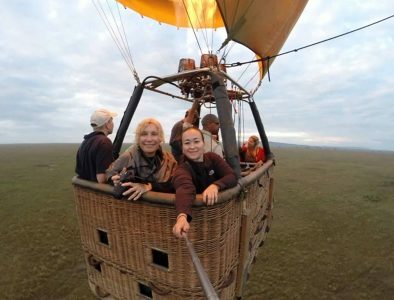 From Amboseli National Park to Maasai Mara National Reserve, this tour takes visitors by air to some of Kenya’s finest eco-regions for game drives, where our guests enjoy small and intimate tented camps which are perfect for couples. "The Road Less Traveled" safari is an epic journey across Tanzania. Take a true adventure through the legendary sceneries and uncrowded parks in classic safari style! Soaring above the rippling tea plantations and low hills of northeastern Tanzania, Mount Kilimanjaro is Africa’s highest peak. 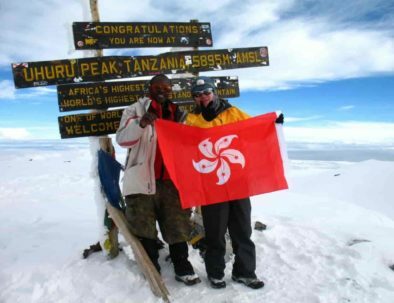 Great deals & African safari tours priceson amazing add-on tours. Astonishing beaches and serene atmospheres with a pleasant climate year-round. Experience the charm of the famous Spice Island! Experience the African landscape from a totally new perspective. Get a bird's eye view of the animals and see how the sun rises above the horizon. The magnificent Victoria Falls is one of Africa’s original wonders. 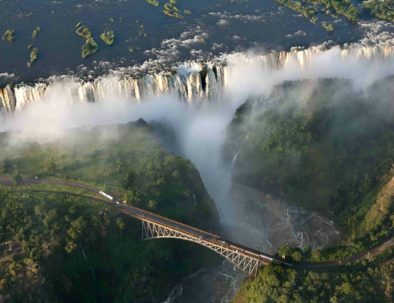 Creating the border between Zimbabwe and Zambia, Victoria Falls is a must-see for every traveler. 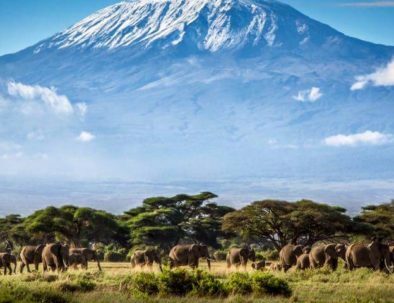 Hike Mt Kilimanjaro, one of the world’s greatest natural wonders: a snow capped mountain on the equator, an ocean of plush jungle surrounded by parched Savannah below. 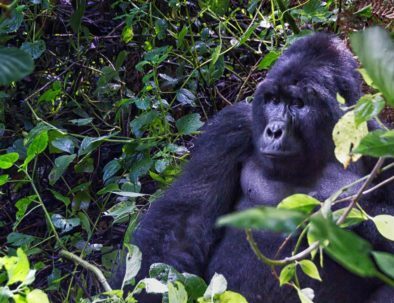 The major attraction of the Bwindi Impenetrable Forest is the population of majestic mountain gorilla known to inhabit the park. Don't Miss these fun loving creatures always in search of fun in the depth of forests. Share the excitement of safari with your loved ones! 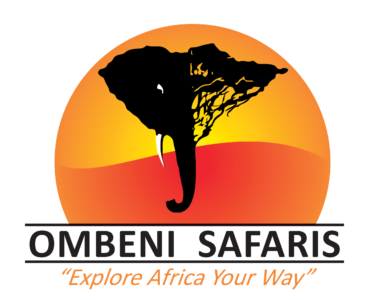 Feel the beat of the mighty Africa with the professional team and private African safari vacation packages of Ombeni African Safaris. Let our African safari packages make your honeymoon truly exceptional and share moments that you will remember for the rest of your life. We warmly welcome companies to take a cool break from their busy daily life. 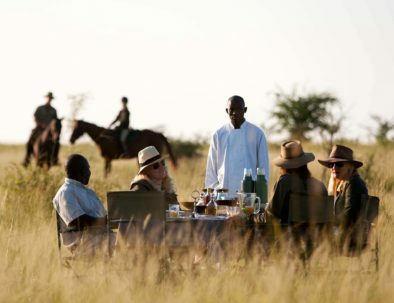 Share unforgettable moments with African safari packages, which will bond your team like never before. Book a complimentary safari consultation – no commitments, just expert tips and tricks to help you plan the safari of a lifetime!